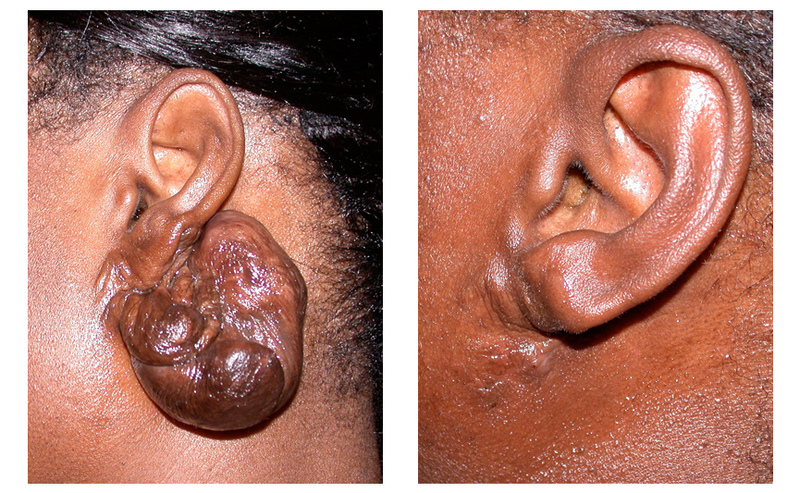 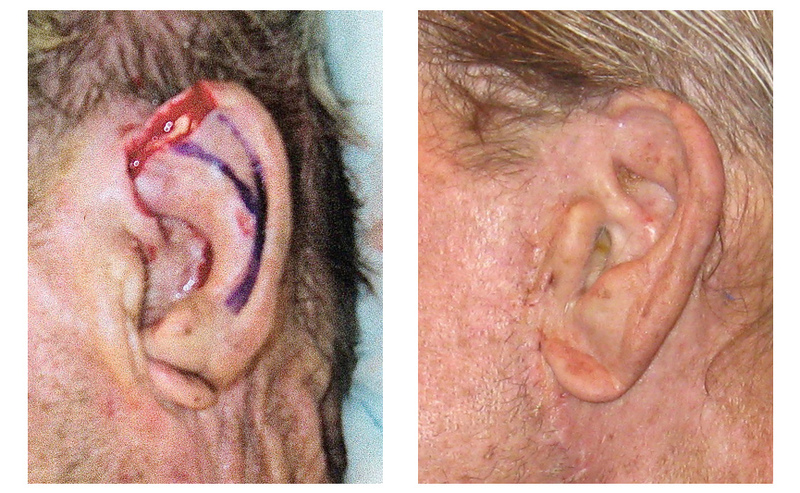 Slow Mohs & Reconstruction with Local Flaps & temporary tarsorraphy with suture. 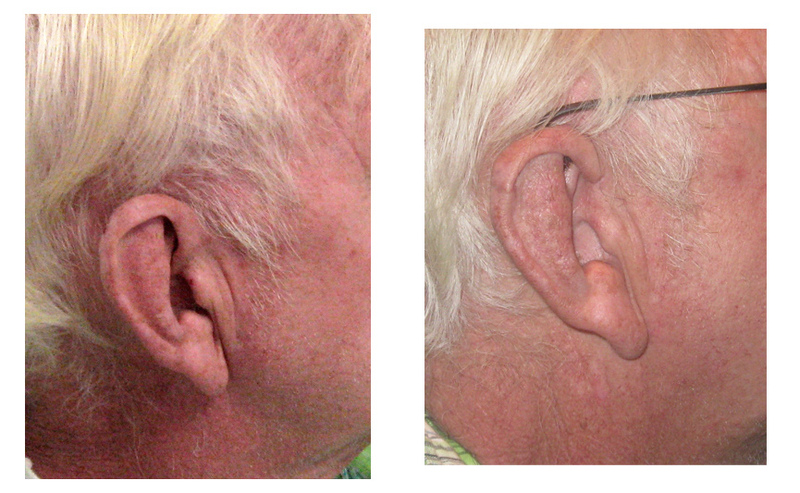 69 year old WM with SCCA of right ear-Helix s/p Anita Slide/ Local flap. 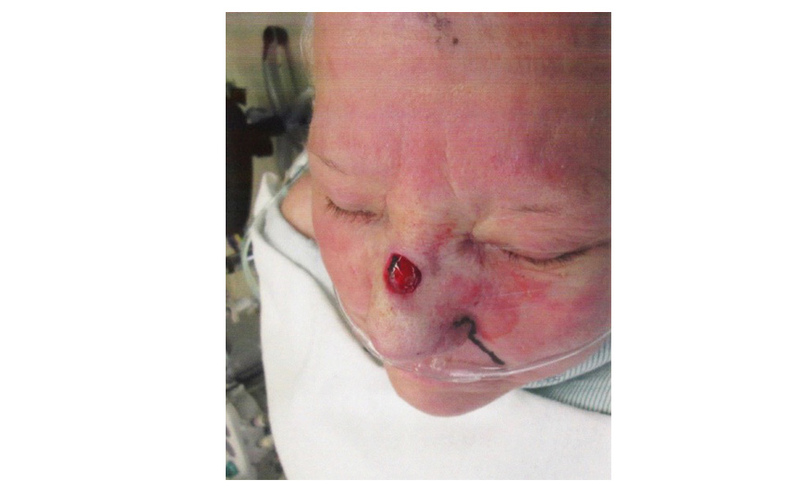 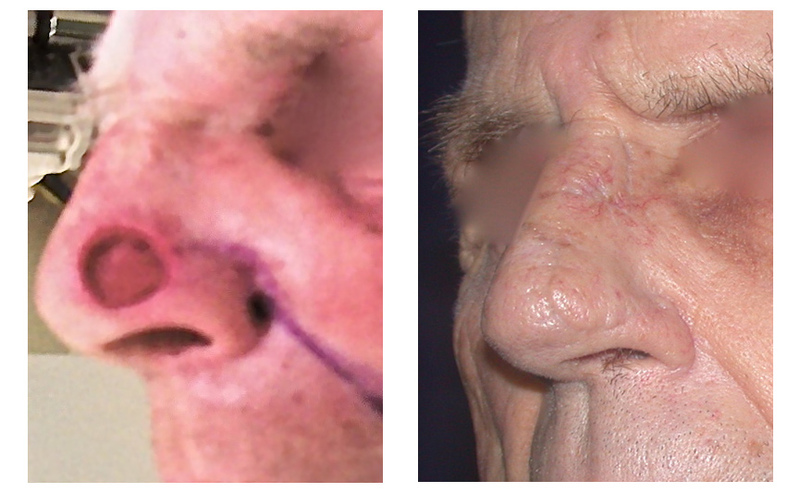 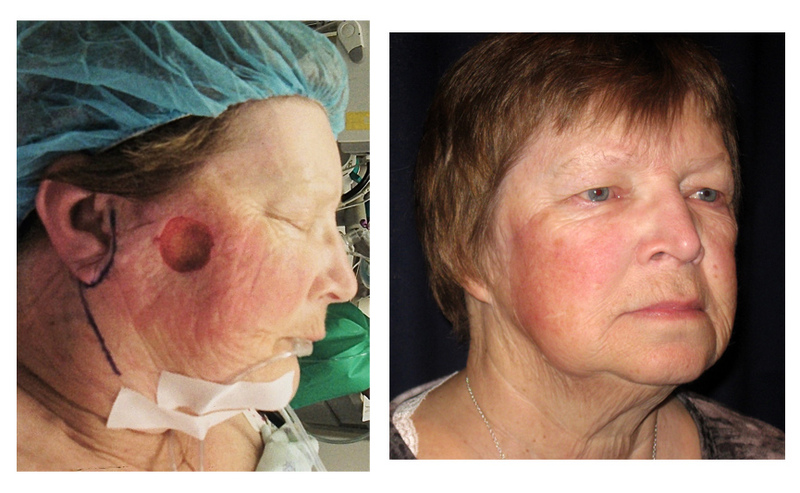 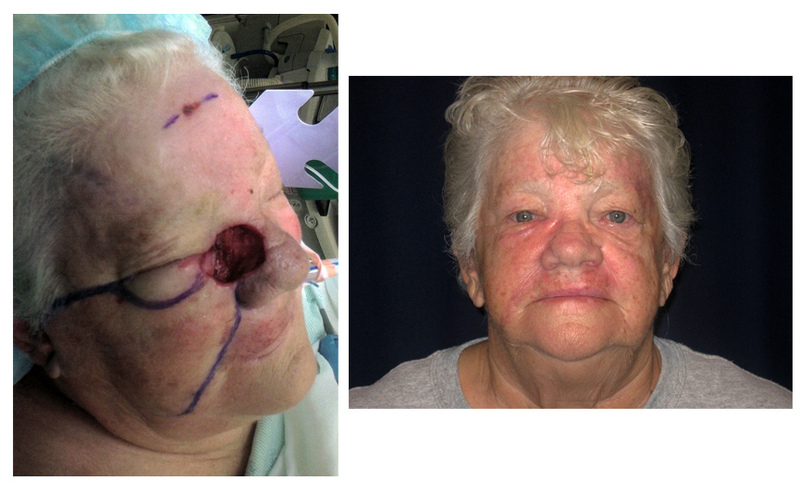 66 year old White Female s/p Slow Moh’s for BCCA of Alar Base (nose) s/p Local Flap. 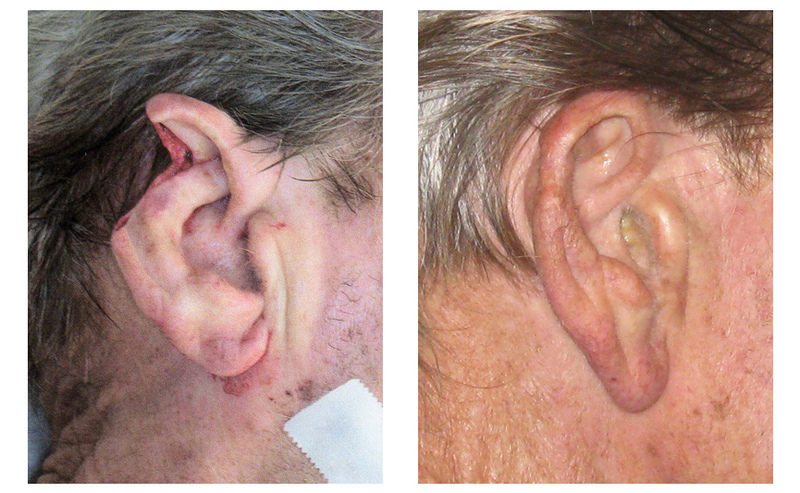 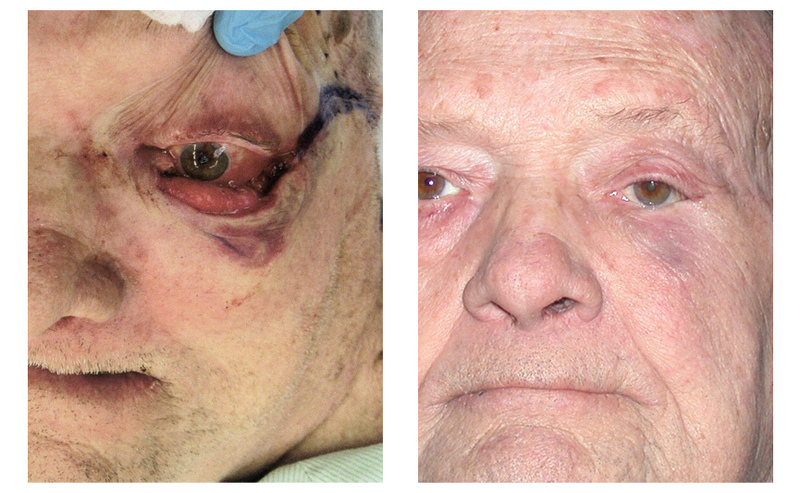 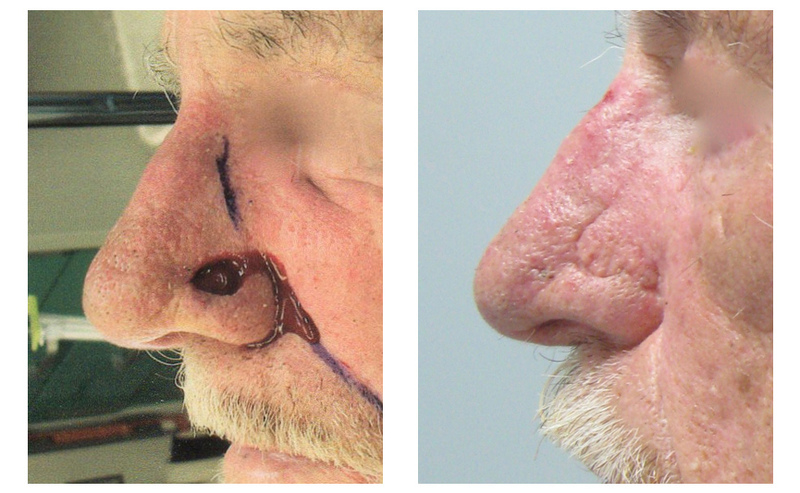 68 year old White Male with BCCA of Right eyebrow & Infiltrative SCCA of Left check s/p Slow Mohs. 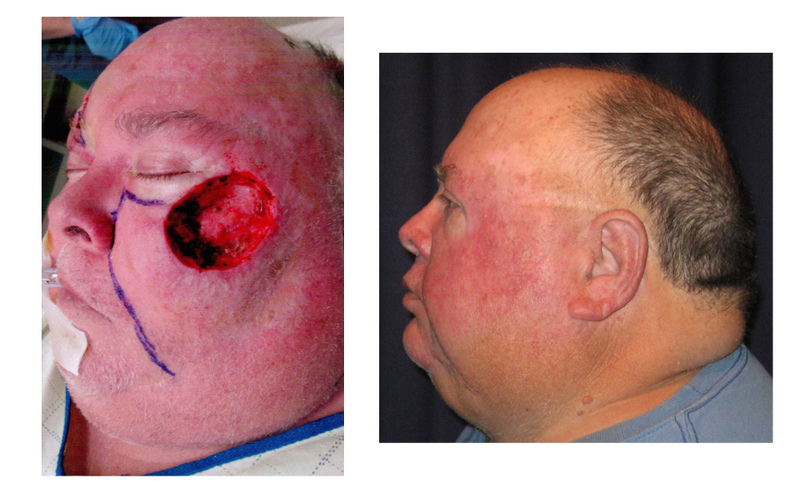 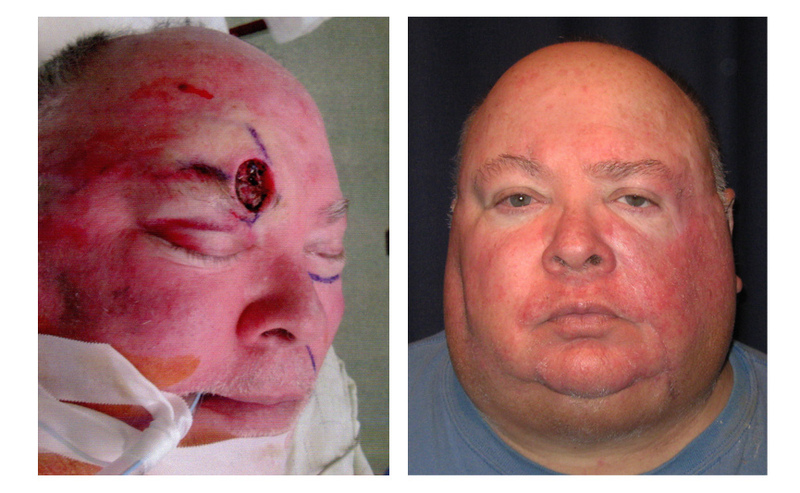 Check advancement flap and local flap utilized to close the patients left check & right eyebrow open wounds, respectivily. 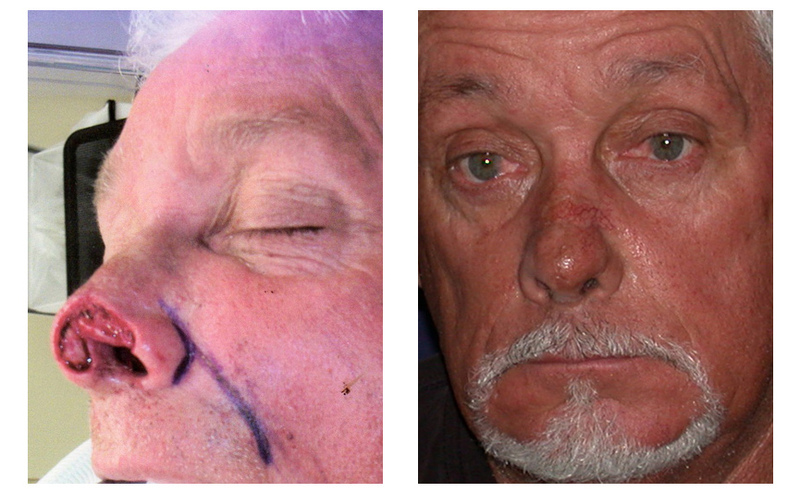 Post operative photo’s are at 3 months after surgery.